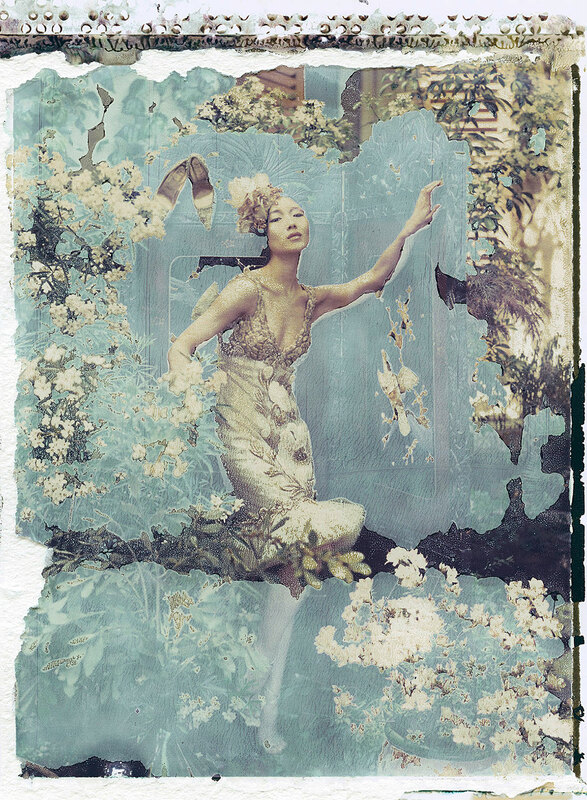 Color-print from original polaroid, 2014. 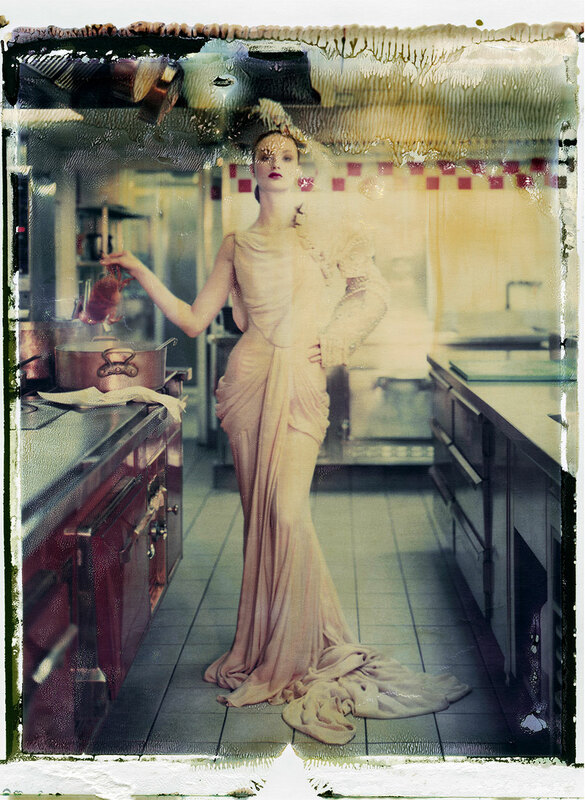 Working on the intersection between fashion- and art-photography, German-born photographer Cathleen Naundorf creates painterly images that transport present-day haute couture to a world of exotic glamour and bygone grandeur. 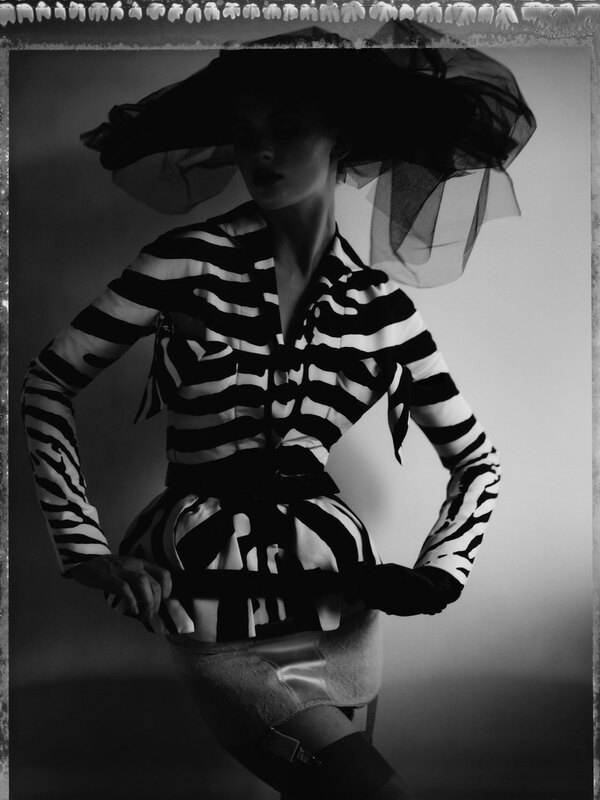 For her upcoming show at Edwynn Houk Gallery, her first in New York, Naundorf presents a selection from previous projects, all of which refer to European haute couture: with evocative names like “Un Rêve de Mode” (A Dream of Fashion, 2005-2011) and “L'Arche de Noé” (Noah’s Ark, 2012), her photographic series features elaborate settings of an almost cinematic scale wherein models pose wearing luxurious dresses by some of Paris’ top fashion houses like Dior, Gaultier, Stephane Rolland and Elie Saab. 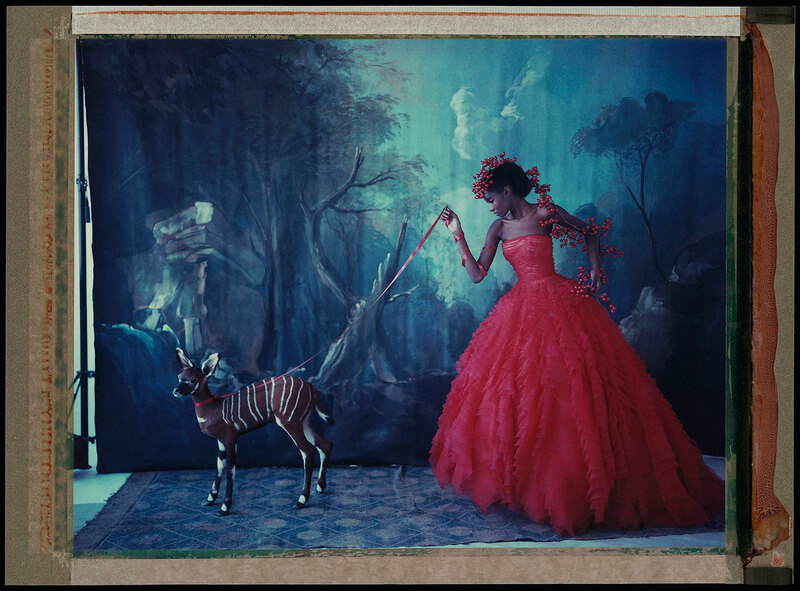 "La fille en plâtre VIII"
Color-print from original polaroid, 2012. Naundorf’s training as a painter and her friendship with the great fashion photographer Horst P. Horst (1906-1999) are both present in her work, the former in her creative treatment of photographic ink and the use of exposure techniques applied destructively on the image, and the latter in her sense of dignity, great care for composition and the use of the element of surprise. 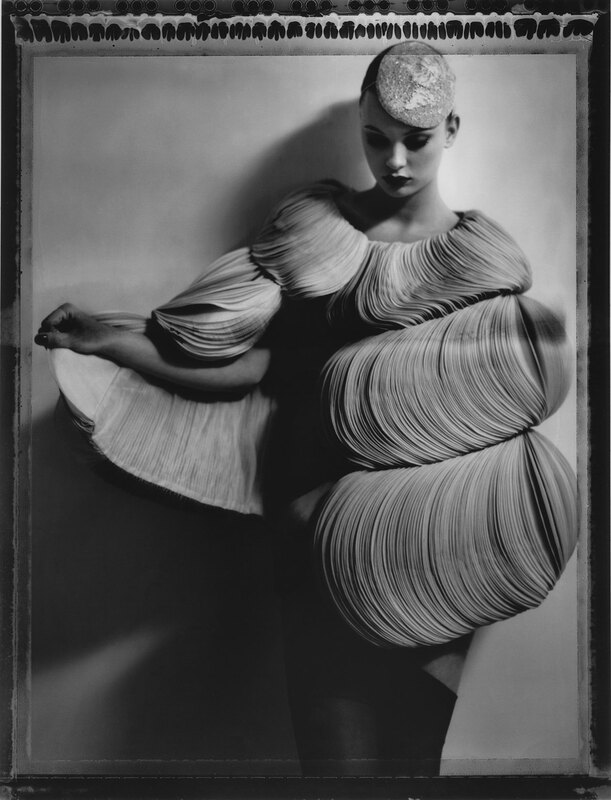 Through her distressed, hazy images, Naundorf looks back at a century-old tradition of commercial fashion photography that had a tight connection with the art of its time; as such, her work short-circuits the past and the present, whilst joining the contemporary vanguard of the same tradition that it is referencing. 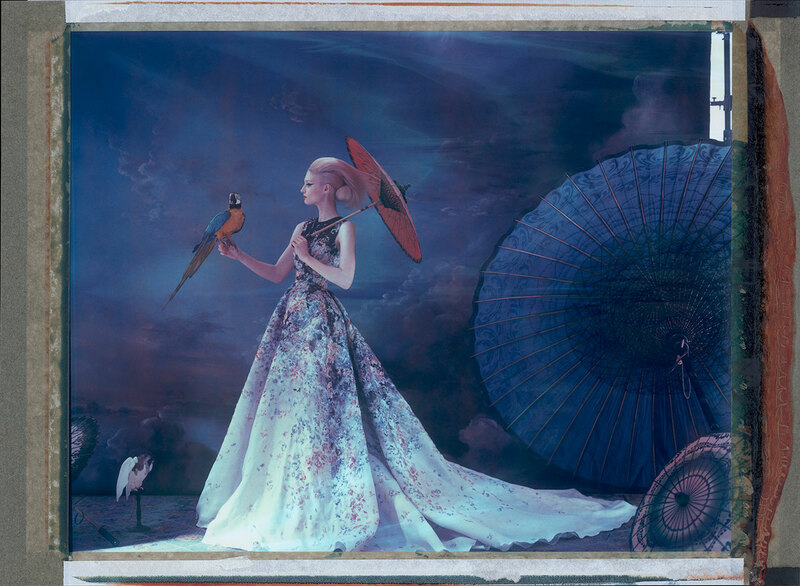 Color-print from original polaroid, 2009. As they pose nonchalantly in some of the world’s most expensive and rare garments surrounded by equally intricate and rarely seen scenery and objects, Naundorf’s women certainly flirt with nostalgia. 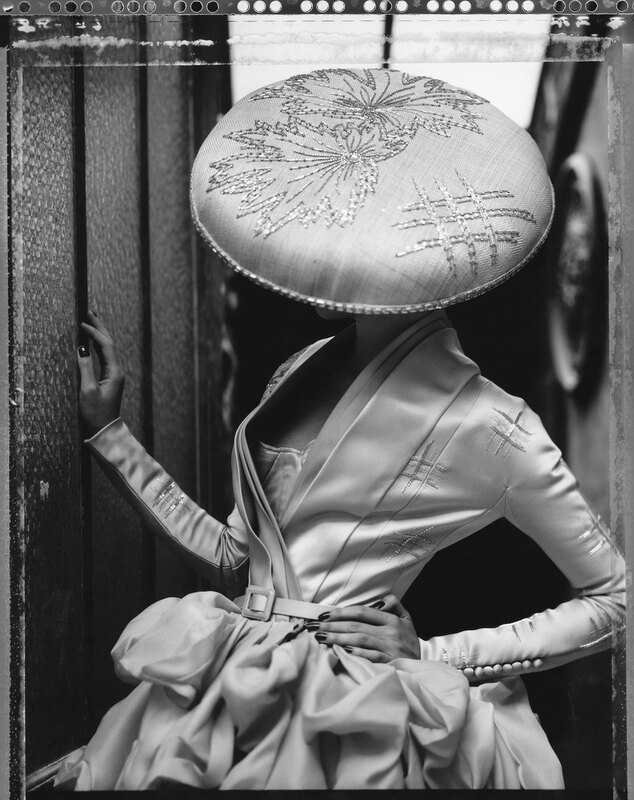 But the sense of subtle disappointment that emanates from these images is not just related to missing a golden era long past: portrayed as exotic and flamboyant creatures hidden behind layers of corrupted ink and blurred colours, Naundorf’s subjects appear distant and unobtainable, even mythical, attributes that we often relate with high fashion in general. If we are feeling nostalgic about Naundorf’s images, it’s not because we are missing an experience we’ve had before, but because we're missing out on an experience that only a few can have —that is, being immersed in wealth, timelessness, luxury and endless, voluminous folds of silk chiffon. 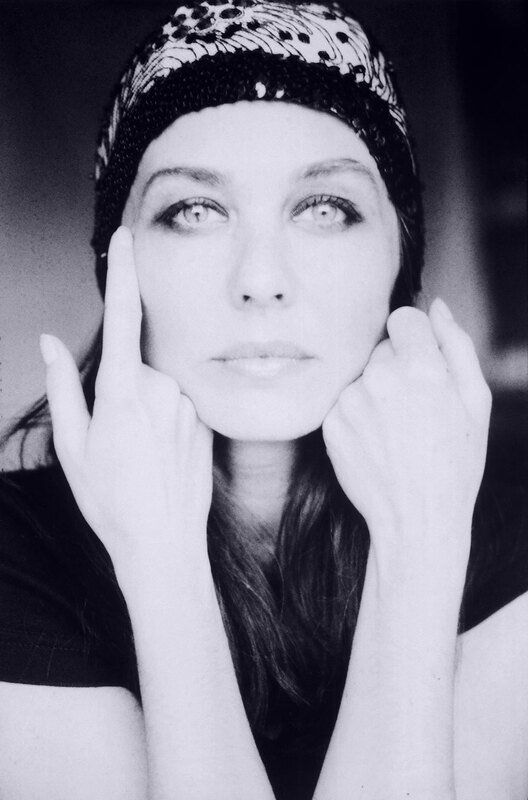 Color-print from original polaroid, 2008. 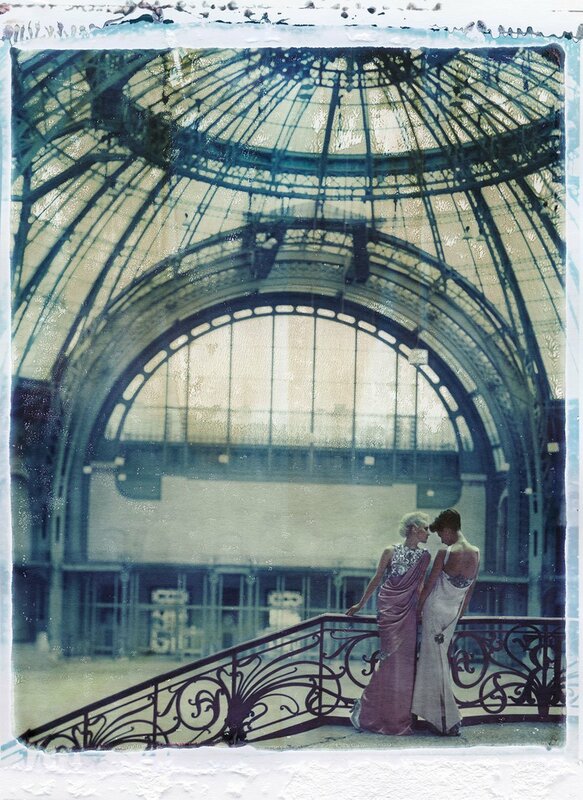 "Secret times (Grand palais I)"
Color-print from original polaroid, 2010. 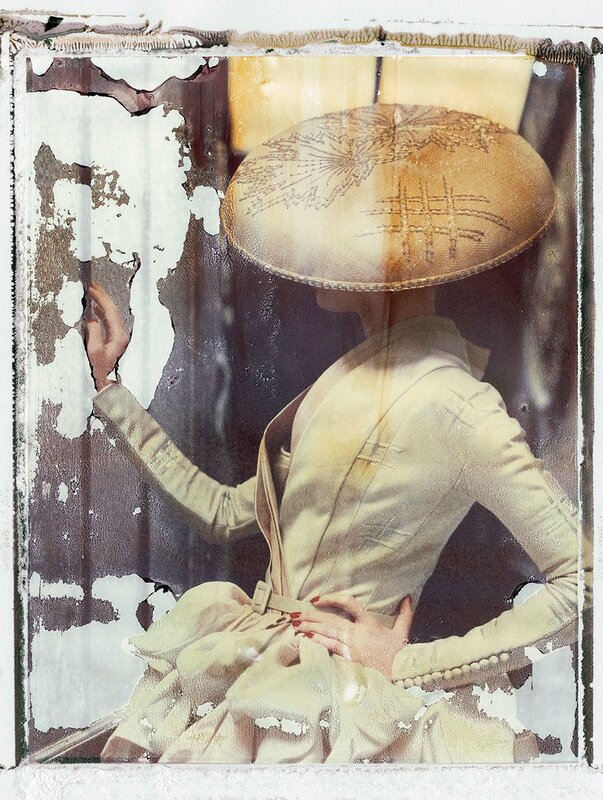 Edited 10 jan 2016: A simile that compared Cathleen Naundorf's work with "vintage postcards" was removed.